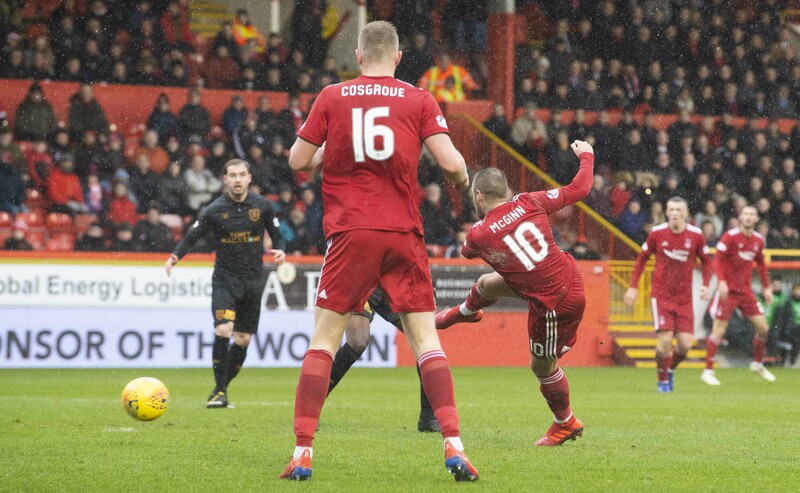 Aberdeen were held 1-1 by Livingston. Aberdeen have now won just one of their last nine games at Pittodrie after a 1-1 draw with Livingston. Niall McGinn’s volley put the Dons in front but Craig Sibbald had Livingston level before half-time. 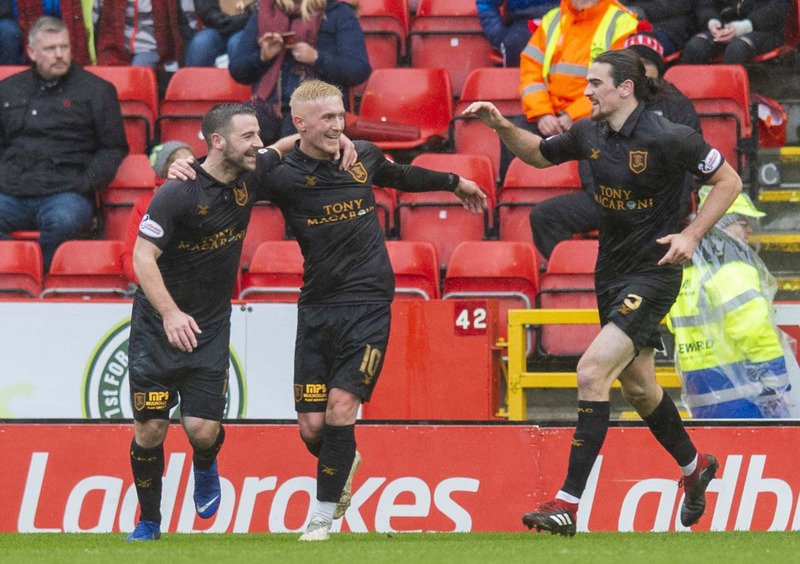 Their last home league win remains the 2-0 win over Hearts in December, with a Scottish Cup triumph against Queen of the South the only saving grace in this poor run. A disgruntled Pittodrie faithful had little to cheer about, with the only saving grace being the draw between Rangers and Kilmarnock keeps Aberdeen in third. The Dons made two changes from the 2-0 win over Rangers, with Sam Cosgrove and Mikey Devlin in for Dean Campbell and Andy Considine. Aberdeen started the brighter, with Dominic Ball missing the chance to head in from McGinn’s corner and Graeme Shinnie seeing a shot repelled by Liam Kelly inside the first five minutes. The home faithful had to be patient on a miserable day at Pittodrie but McGinn followed up his goal with a well-taken volley after half an hour, giving Connor McLennan’s cross the treatment it deserved. Niall McGinn volleys in the opener. 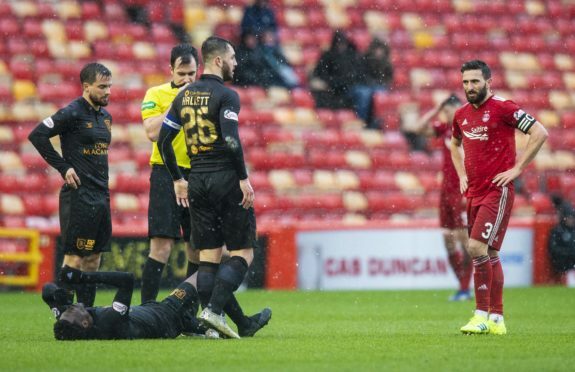 Livi would not be cowed though and could have responded immediately, with Declan Gallagher drawing Joe Lewis into a sharp save low to his right. Cosgrove nearly marked his return to the team with a goal four minutes before the interval, however his volley from Max Lowe’s cross went wide. But slack marking from the Dons allowed Livingston back into the game two minutes before half-time, as Craig Halkett’s cross made it all the way into the six-yard box where Sibbald was waiting to tap in from near the goal-line. Declan Gallagher had a goal disallowed for offside five minutes into the second half as Aberdeen failed to heed the warning given to them by Sibbald’s goal. With an hour gone and the scores still level, Lewis Ferguson jinked his way through a see of black shirts form Dominic Ball’s throw-in but fluffed his lines when it came to the shot, skewing high over the bar. Craig Sibbald (centre) celebrates the equaliser. Despite throwing on Greg Stewart and James Wilson late on in a bid to nick all three points, with Stewart seeing a shot deflected wide in stoppage time. However, the Dons came up short in a disappointing afternoon on home soul again.